KOCHI: Well, the lack of transport connectivity to Infopark at Kakkanad is ironical given the fact its rapidly growing workforce of 30,000 is a hugely privileged lot with cutting-edge technology and other tech marvels at their fingertips. However, it seems the travails of commuters on this route are just about to end as the Centre for Public Policy Research (CPPR) and the World Trade Centre (WTC), Kochi have come up with a slew of proposals to develop public transport in the area. systems and improving existing water and road connectivity to the area. At a workshop on ‘Connecting the Dots on Public Transport’,recently organised by CPPR and WTC, it was also decided to propose the idea of launching dedicated buses for Infopark employees. The proposal will be placed before the Ernakulam Regional Transport Office (RTO) which will then discuss the matter with KSRTC, KURTC, KMRL, private bus operators, companies in the Infopark and the IT park authorities. Providing information kiosks, ride-sharing options, modernised bus waiting sheds etc are expected to increase the share of public transport usage. Campus facilities such as street furniture, lighting, cycle tracks and other pedestrian facilities can be improved to facilitate and encourage non-motorised transport. Transportation data on Infopark employees can be collected with the help of GPS tracking to identify major transportation corridors and trip generation points. The data can be used to efficiently plan transportation network for the area. This will also facilitate better planning to develop infrastructure provisions in and around the campus. “If the 160-odd companies in Infopark come together, they can contribute significantly towards facilitating transport infrastructure and spreading awareness among employees. The restriction on public vehicles’ entry into the Infopark campus should be reconsidered if the use of public transport is to be encouraged,” said the report on public transport which was drawn up by CPPR in association with WTC. “When the growth of a town is rapid and unplanned, it needs to be supplemented with adequate infrastructure facilities. In the case of Kakkanad, the primary requirement is to provide better connectivity with other major cities and towns. The transportation issues faced by employees highlight the flaws in the infrastructure here,” the report says. Even as the report underscored the need for a comprehensive mobility plan for the area to identify gaps in public transport and map traffic and vehicular movement, it identified two major reasons for Infopark’s dwindling share of public transport usage. 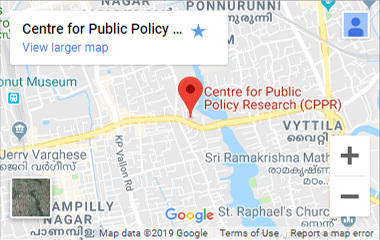 The reasons are poor connectivity of Infopark with Kochi city and inadequate facility to move about inside the campus. “The Infopark campus is poorly connected with the major residential areas in and around Kakkanad. The few buses which ply in the region run packed during the peak hours. The commuters from other parts of the city also face the same issue. The campus has only two entry and exit gates, which are located far away from Kakkanad town and bus stand. A person has to change at least three buses to reach Infopark campus from Vyttila,” it said. Most importantly, the campus requires round-the-clock transport connectivity due to the different working hours of the resident companies. Ride-sharing in autorickshaws and taxis is not legal, hence the employees are left with no transport options. Kochi Metro’s proposed line is an attempt to link Infopark with the city centre. But, without adequate feeder services, it will be difficult to forecast whether the employees’ will shift to Metro service, the report said.